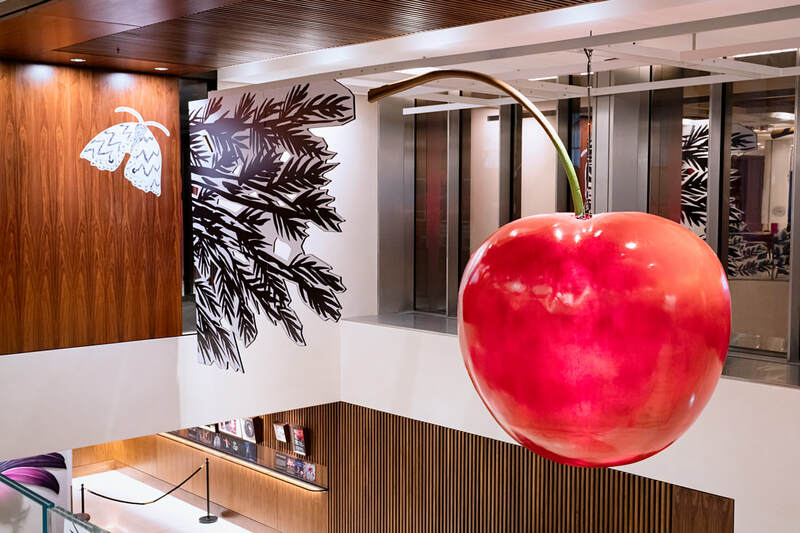 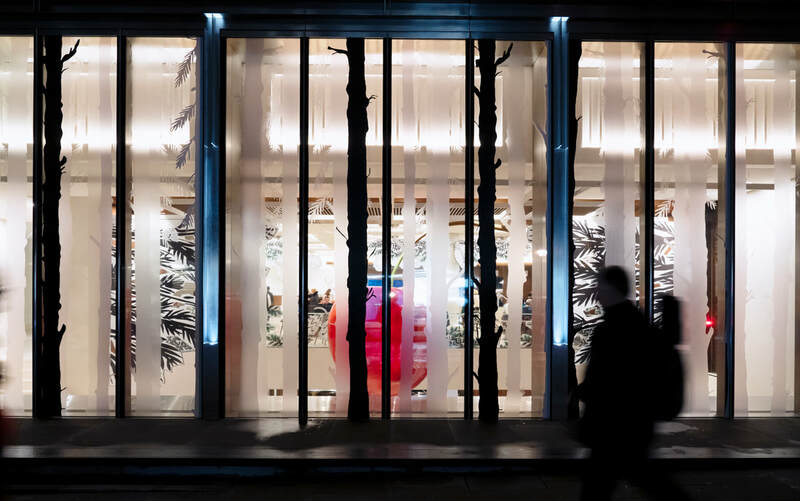 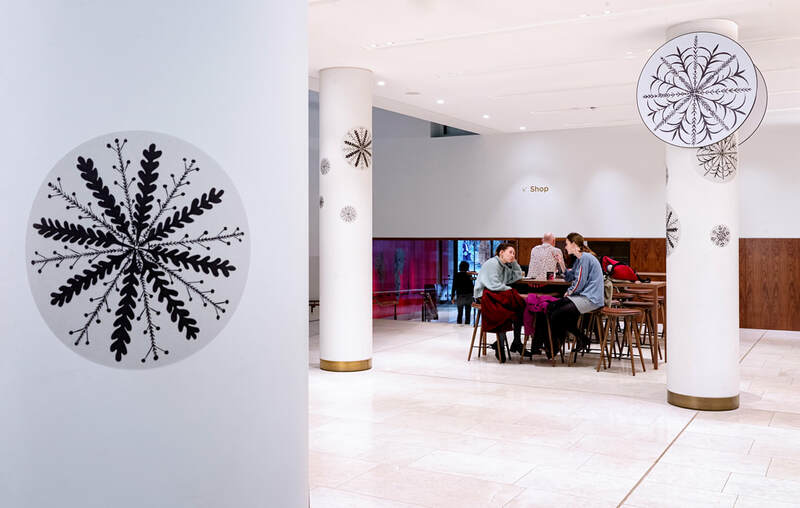 Open Up project, we were commissioned to design a temporary display for the ROH's Christmas productions – the Hansel & Gretel opera and the Nutcracker ballet. 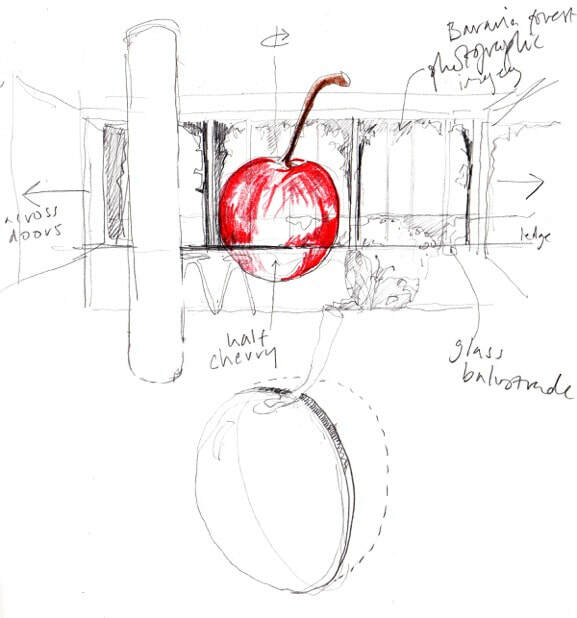 Our inspiration came from Antony McDonald's designs for his production of Hansel and Gretel. 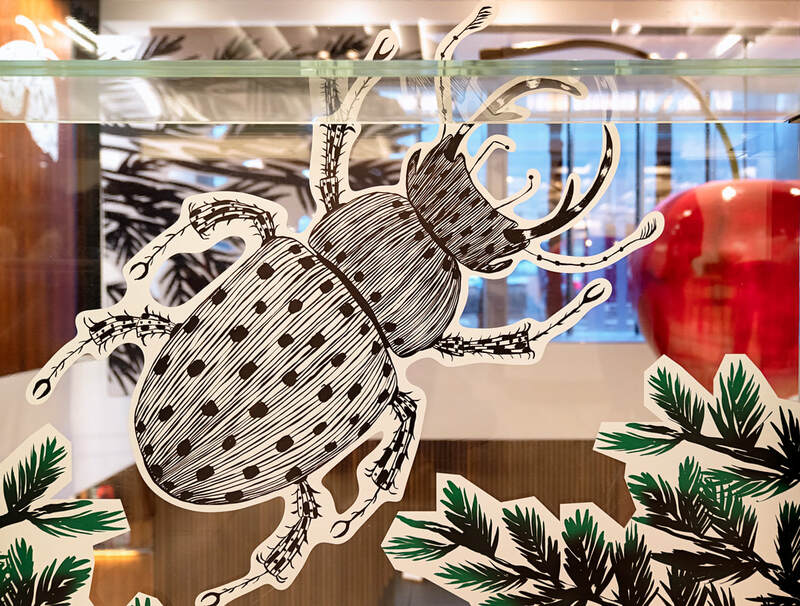 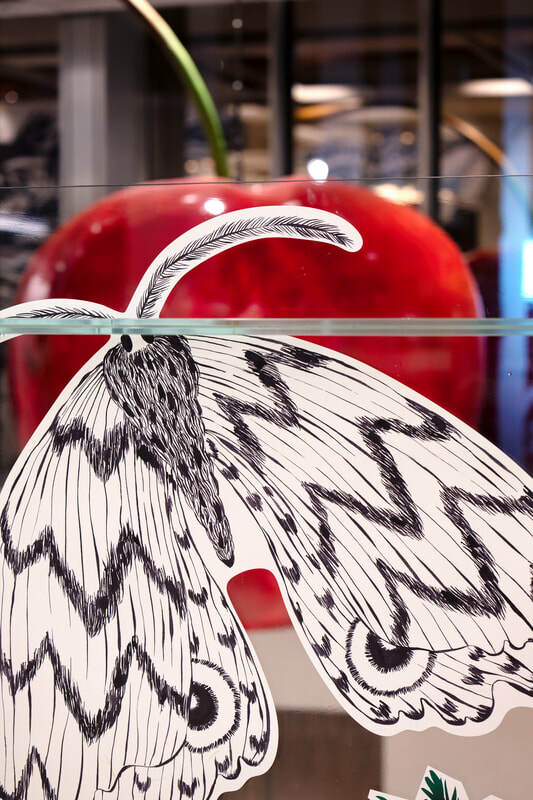 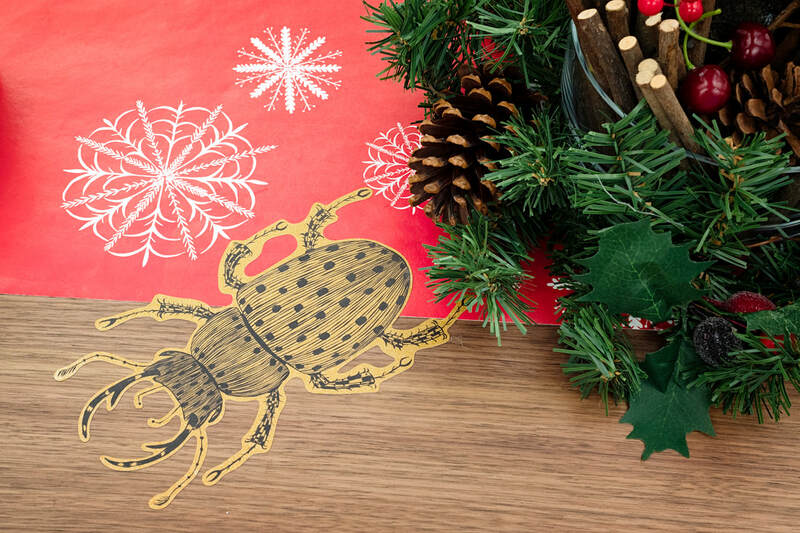 Drawing on the creepy crawlies from Antony's Bavarian forest, and the topping on the gingerbread house, we designed a display featuring a giant cherry suspended in the atrium void above the Linbury Foyer and illustrated beetles, moths and foliage adorning the columns and walls, drawn by illustrator Ellie Curtis.